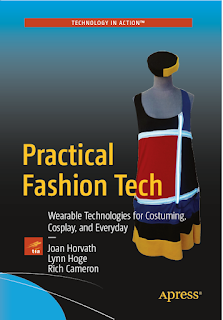 Our latest book, Practical Fashion Tech: Wearable Technologies for Costuming, Cosplay and Everyday is now up for preorder. 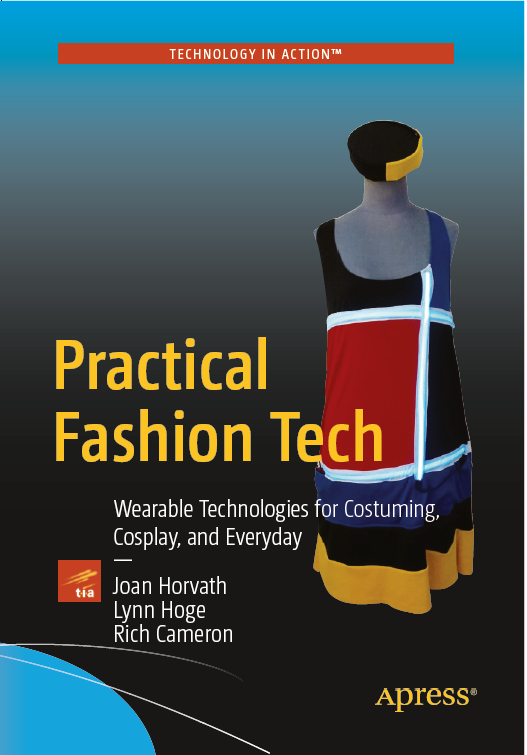 It gives a pragmatic view of the overall design issues that come up when creating interactive garments or accessories, combining the sewing, electronics, and coding aspects. We added a third author this time- Lyn Hoge, who has been a teacher for over 30 years. The book is intended to be a teacher's guide for high school or college classes in the subject.